It’s kind of crazy when i think of how waking up at the crack of dawn on my vacation, is rejuvenating to me. But as i stood there in the parking lot looking out at an ice cold cloud covered pacific ocean, i felt like i was home, and there was nothing else in the world but me, God, and those waves. Now i’m definitely not a real deal surfer, by any means. Maybe an honorary…LoL But i think it was just a love i inherited from early exposier to it in my child hood. One of my fondest memories was a specific summer when i went out to Seal Beach with some family friends and learned how to surf from our family friends at M&M surf school @ seal beach. I’m so blessed to call these guys family, however it seems like everyone who knows these cats, would tell you the same thing. I met my buddy Mike out there early monday morning, put on the wet suit and headed out. The water was freezing but somehow, that could not stop me from this, 😉 I paddle out, and hop up on my board, and here it comes, so i start paddling, and as i begin to get myself up i realize, i don’t know where my feet are. It was so cold my feet were numb. After wiping out a few times i hop up on my board. As i’m sitting up gazing the ocean for some breaks, i felt humbled. I’m floating on a stick, in the middle of this huge unknown powerful body, of water. Out of no where there are these ripples, waves, that come at us, so…We try to hop up on that stick and ride em out. Most of the time we fall, but we always paddle back out and hop up, waiting for the next one. Doesn’t this sound a little like that one thing we live? you know LIFE. At the end of the day, i literally caught zero waves due to one not feeling my legs and two just not being comfortable. However, i came out of the water as if i had accomplished so much. 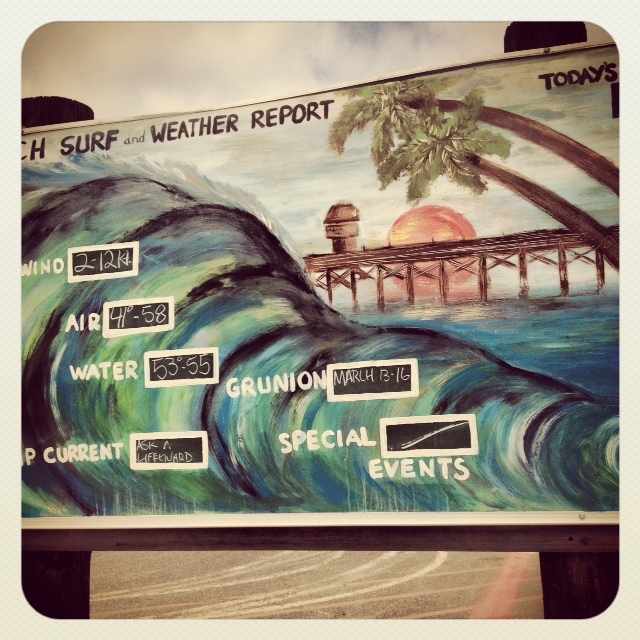 If you ever get the chance to head out to Seal Beach, Ca. 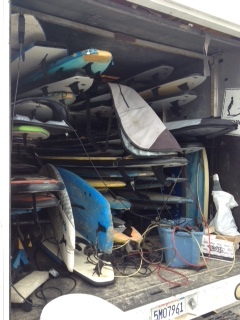 Look for a big van with a ton of surfboards . Go say hi. 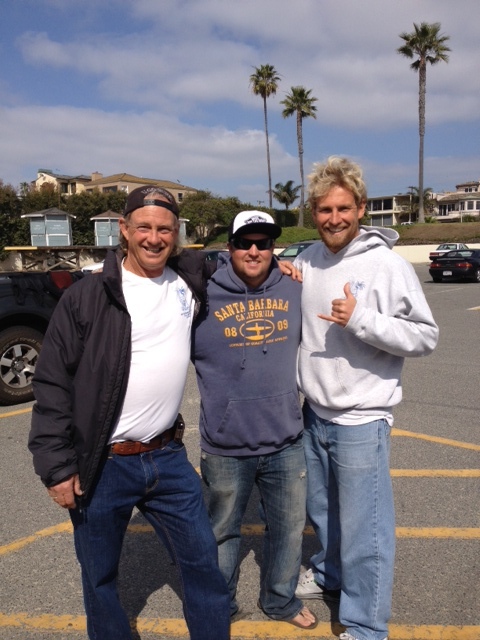 My friend Mike has been given the nick name “the saint of Seal Beach.” He and his son Mike Jr. run camps and teaching adults and children this awesome way of life. Sunday mornings you can even catch a surfer church service on the beach. Also after every sess, they will walk you up for the “surfer special” at El Burrito Jr. These Bean & cheese burritos are definitely the best you will ever have, along with an orange bang whip to top it off, makes the perfect vacation. If you ever get the chance, pic up the book KOOK, what an amazing analogy 😉 to surfing and life.